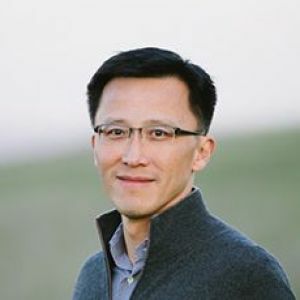 Winston Fu is a seasoned entrepreneur, athlete, coach scientist and technology investor. Entrepreneurs appreciate that Winston’s advice and support is based on his experience as a fellow entrepreneur and technologist. Before founding LDV Partners, Winston served as a General Partner at US Venture Partners for 14 years, and led investments in a wide range of technology companies. Prior to USVP, Winston was a founder of Vixel Corporation, where he helped bring Fiber-Channel and Gigabit Ethernet fiber-optic interconnects to market. Vixel (VIXL) made its initial public offering in 1999 and was subsequently acquired by Emulex in 2003. Winston began his venture career as a Kauffman Fellow at US Venture Partners. He earned his MBA from the Kellogg School of Management where he was an Austin Scholar. Winston holds a PhD in Applied Physics from Stanford University and a BS in Physics from MIT. Winston is a former captain of MIT’s NCAA volleyball team and a former coach and a current Director of the Front Range Volleyball Club in Colorado. LDV Partners (LDVP) is a Silicon Valley venture fund that focuses on early-stage investments in disruptive technology companies. LDV is in honor of Leonardo Da Vinci and a reference to the worldwide technology renaissance. LDVP invests in North American technology companies that have the ability to create or disrupt large industries. We help our portfolio companies access markets, talent, investors and acquirers in both the U.S. and China.